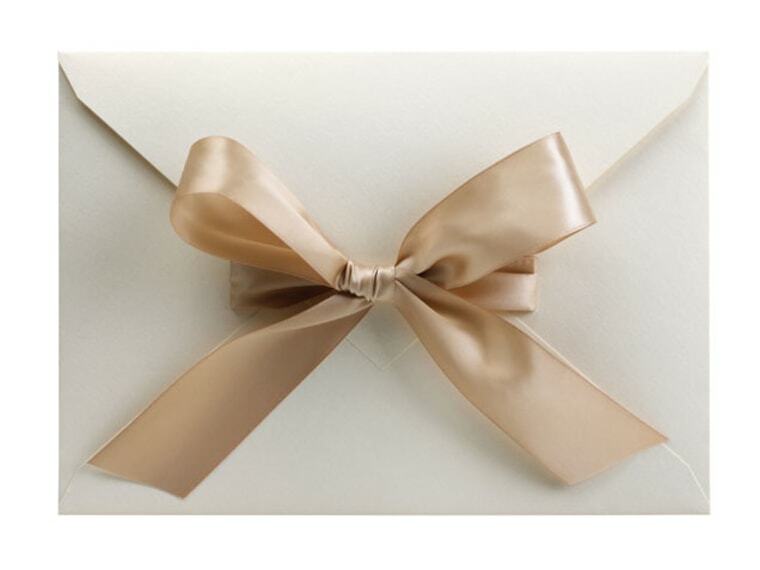 Online wedding invitations: Does modern etiquette deem them tacky or totally acceptable? There was a time not so long ago when etiquette experts and ordinary folk alike would freak out about the notion of using an online invitation for an event as important and traditional as a wedding. But those days appear to be over—thanks to a combination of evolving technology and the recession—and many of the pros now agree that paperless is an A-OK option, depending, that is, on certain important considerations. Marc Friedland, the invitation vet whose recent work includes designing the official envelopes for the Oscars, simply advises being thoughtful about your choice of pixels or paper. For instance, he says, formal weddings might still require paper invites, but more casual ones might not. "Incorporating social graces into your decision-making process is essential, and above all else your communications need to be well designed and inviting to cut through the clutter of overcrowded, over-communicated, over-invited social networks." Lisa Gorjestani of Details Event Planning—planner to big names like Halle Berry, Amy Smart and Ali Landry—says she totally agrees. "I would absolutely use a type of evite for a wedding. Nearly half of my clients this year have turned to Paperless Post for their save-the-dates," she says. "I'm certain the trend will continue and couples will use this service for their wedding invitations." She points to the wide availability of styles, the efficiency, the tools for managing guest lists—and of course the cost savings—as the reasons behind the trend. Not everyone in the wedding biz is totally sold on e-vites yet—as the traditionalists among readers will easily understand. "We constantly have brides that are looking to cut costs by utilizing alternative methods for various aspects of their big day. I'm not a supporter of this for a few reasons," says Sterling Engagements' Alexandra Rembac-Goldberg. "I happen to love the element of paper woven into a wedding or an event. It's the first impression you make with your guests and it establishes the style and aesthetic for the day from the very beginning." She concedes, "An e-vite might be appropriate for a more tech-savvy couple and a more technology-driven group of guests. But it can sometimes be challenging for the older generation or less tech-savvy crowd, and it’s important to know what works for not only the couple but the general consensus of their guests. Of course, even if you go with a paperless invite, you must adhere to the same guidelines for etiquette as you would a mailed version if you want all guests to feel warmly welcome. In that spirit, Friedland says, use the same communication channel for all guests: Don't use digital for some and paper for others, and be sure to invite all the guests at once. Do keep the list private. He recalls, "In my childhood, children were taught it was rude to decide whether to attend an event based on who else was going. Maybe this bit of manners is fading. But people of character still consider their relationship to the host, along with their ability to attend, above all else." So that's what the pros think, but we want to hear from you! Would you send a digital invitation for a wedding?